Fourth-place U.S. mobile operator T-Mobile posted its financial results for the second quarter of 2012 on Thursday, and the news is not-so-good — and yet, strangely promising at the same time. On one hand, T-Mobile shed over 200,000 customers during the quarter, shrinking its customer base still further as (presumably) users flee to other operators that can offer things like the iPhone and LTE service. Furthermore, the total number of smartphone customers on T-Mobile remained flat from the first quarter, meaning T-Mobile is struggling to add smartphone users while the rest of the smartphone market is experiencing rapid growth. So what’s the upside? T-Mobile’s operating income actually increased during the quarter, which has the ironic effect of making T-Mobile increasingly valuable to Deutsche Telekom, the parent company that once eagerly sought to get out of the American market. And T-Mobile has made some major moves to upgrade its network and (maybe, just maybe) finally set hands on the iPhone — meaning if it can get through this year, 2013 is starting to look promising. Since AT&T gave up on its ambitious yet widely-opposed plan to take it over, T-Mobile has been struggling to position itself as an affordable, reliable alternative to Verizon Wireless, AT&T, and Sprint. But the merger failure also meant T-Mobile had to turn its mobile strategy on a dime: instead of joining up with AT&T’s much broader network (and spectrum licenses), it would have to find a way to leverage the $4 billion breakup fee it received from AT&T to compete with burgeoning 4G LTE services from Verizon, AT&T, and Sprint. So far, T-Mobile is still trying to execute that turn, which is reflected in its subscriber numbers. 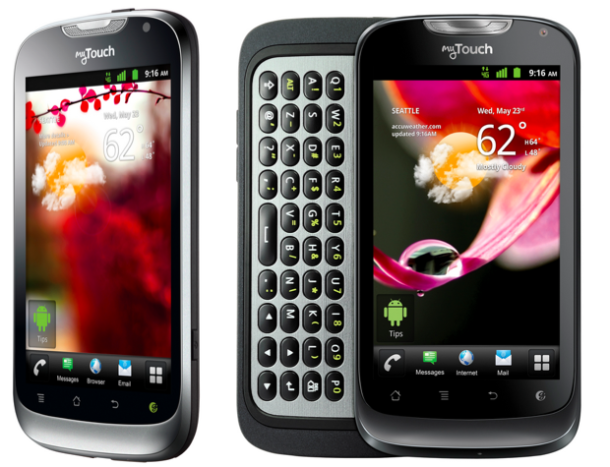 During the second quarter of 2012 alone, T-Mobile shed some 557,000 contract subscribers (contract subscribers are considered the most lucrative customers in the mobile industry because they have to pay up every month or face a hefty termination fee from the carrier). However, T-Mobile’s appeal to price-sensitive mobile users still seems to have some appeal: the company offset those contract subscriber losses by adding 227,000 new prepaid customers. Pre-paid customers generally aren’t worth as much to mobile operators as contract subscribers, but it does mean T-Mobile is having some success reaching out to new customers. T-Mobile also added 95,000 machine-to-machine connections: these are everything from point-of-sales terminals to vending machines. T-Mobile lost a total of 205,000 customers during the quarter. For anyone keeping score, that means it has lost some 2.76 million customers during the last two years — that’s almost 10 percent of its total subscriber base. But here’s the thing: T-Mobile might be losing subscribers, but it’s making more money off each one of them. T-Mobile’s average revenue for prepaid users increased 13.6 percent compared to a year ago — meaning T-Mobile has found a way to make prepaid subscribers more valuable to the company. Furthermore, average revenue for contract subscribers is up 14.6 percent compared to a year ago. T-Mobile might be down more than 10 percent of its subscriber base compared to two years ago, but it’s generating significantly more revenue from those subscribers: the company’s operating income (before adjustments and depreciation) was $1.34 billion for the quarter, an increase of 4.8 percent compared to a year ago. Yes, T-Mobile has a higher income now than it did when it was in the process of being acquired by AT&T. T-Mobile’s positive income puts it in an ironic position with parent company Deutsche Telekom. Deutsche Telekom originally wanted to pull out of the American market and focus on Europe because it couldn’t see a way to make much (or any) money with the number-four mobile operator in the United States, and didn’t want to put any more money into it. Now, however, economic troubles in Europe actually mean that T-Mobile’s operating income is almost entirely responsible for Deutsche Telekom profit gain this quarter. Thanks to T-Mobile USA, Deutsche Telekom is sitting comparatively pretty compared to most European mobile operators — and now Deutsche Telekom CEO Rene Obermann plans to increase spending in the United States (as well as Germany) in an effort to bolster profit centers. T-Mobile’s course hasn’t exactly been steady, however. Although the move didn’t surprise many industry watchers, within a few months of AT&T backing away from acquiring the company, T-Mobile CEO Philip Humm left the company in June — and almost instantaneously found a position in Europe with Vodafone. 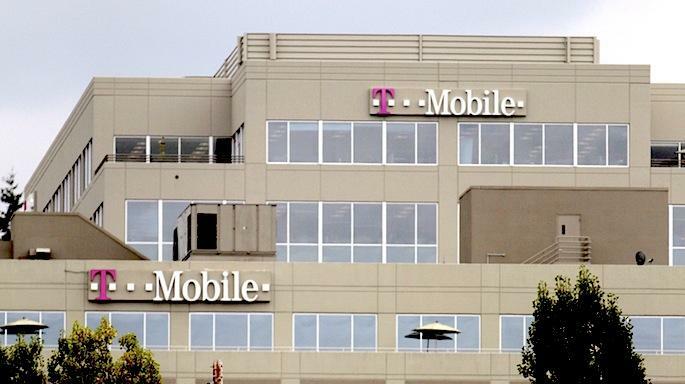 Humm had previously headed up T-Mobile Deutschland, but had stepped down in 2008 following a data breach that saw 17 million customers’ records compromised. Most believe Humm had largely been installed as CEO to oversee Deutsche Telekom’s intended divestiture of T-Mobile USA with the AT&T merger. With that off the table, Humm wasted little time returning to Europe. For the time being, former Starbucks executive Jim Alling has been serving as an interim chief while the company conducts a formal search for a new CEO. So far, there’s no indication Deutsche Telekom has made any progress finding a new CEO, or whether it intends to stick with Alling and take “interim” off his nameplate. Alling had previously been T-Mobile USA’s COO; before that, he was U.S. president for Starbucks. It’s not clear whether Deutsche Telekom intends to import another executive from Europe, or go with an American. Prior to Humm, T-Mobile had been headed for 15 years by American Robert Dotson. Without the AT&T deal, T-Mobile has had no choice but to try to claw its way into the LTE world on its own — and a major step in that direction has been a complicated spectrum-swapping deal with Verizon Wireless. If the deal is approved, possibly in the next few weeks, T-Mobile will find itself with new AWS spectrum licenses that cover some 60 million Americans, including improved access to 15 of the 25 largest U.S. markets. However, approval is not guaranteed: the spectrum swap is a side deal contingent on approval of Verizon’s plan to buy $3.6 billion in spectrum from cable operators — and make those cable operators resellers of Verizon mobile services. Many consumer advocates have opposed that deal both because it makes cable companies customers of Verizon, and because it will increase Verizon’s already-dominant position as a holder of 700 Mhz spectrum licenses, which are highly coveted for LTE because they do a good job of penetrating buildings. Heck, until Verizon offered to do the AWS spectrum swap, T-Mobile was one of the most vocal opponents of the deal (pdf) — leading some to conclude that the AWS arrangement is just a way to buy T-Mobile’s cooperation. The additional AWS licenses will be important for T-Mobile’s plans to compete in the LTE market. Although T-Mobile is already the largest owner of AWS spectrum, AWS’s higher frequencies means it doesn’t penetrate buildings and dense urban areas as well as LTE in the 700 MHz blocks. Anything T-Mobile can do to bolster the quality of LTE services will help it compete with the likes of Verizon, AT&T, and Sprint. And although T-Mobile was the first U.S. carrier to brand its mobile broadband service as “4G” — a still-controversial marketing stunt to promote its revved-up HSPA+ service — T-Mobile has recently stopped promoting it’s HSPA+ network as “America’s Largest 4G Network” in the face of network expansion by Verizon and AT&T, although the company does maintain that the service remains competitive with full-blown LTE. Converting its network to support LTE as well as conventional 3G services represents a $4 billion investment from T-Mobile — a figure unsurprisingly close to the amount it received as a breakup from AT&T. However, the company still has to continue its operations and improve its bottom line if it wants to keep investors on its side. Plus, it is never a good idea to run a nationwide company with low cash reserves. However, T-Mobile is reportedly working on a much larger deal that would see the company selling off about 20 percent of its cell towers. 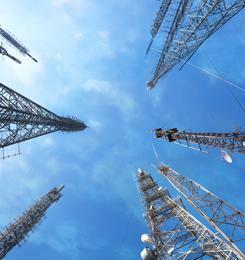 T-Mobile claims it operates about 35,000 cell towers; according to the Wall Street Journal (subscription required) and other sources, T-Mobile is trying to work out a deal to sell off about 7,000 of them, with Crown Castle leading the biding war. Details of the deal haven’t been revealed, but reports have the total value at around $2 billion, which would give T-Mobile more money to fuel its LTE conversion. 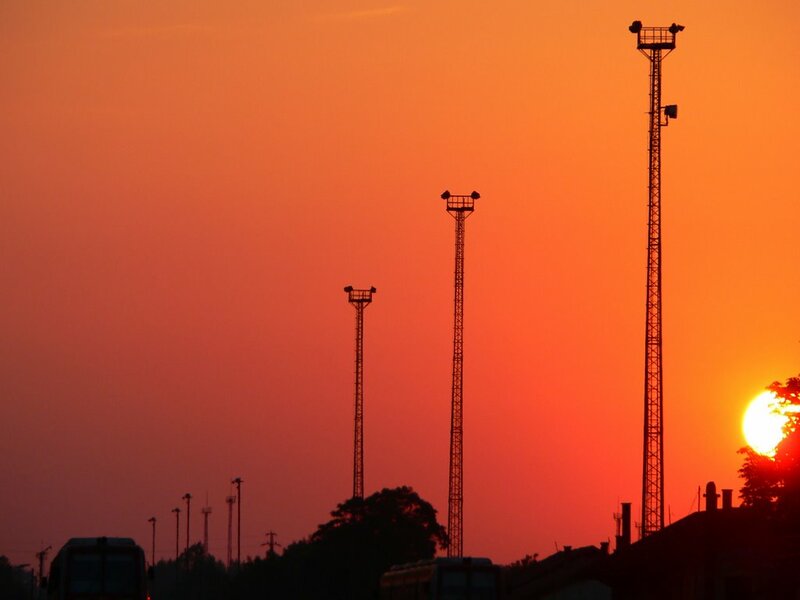 It might seem counter-intuitive for a company that is desperate to increase its coverage (especially in key markets) to be looking to sell as much as 20 percent of its cell tower network — wouldn’t that reduce its coverage? In all probability, no: part of the deal would likely enable T-Mobile to continue offering service via the same towers, perhaps at a discounted rate. Crown Castle currently operates almost 24,000 towers spanning the United States and Australia, so it’s possible that a deal with Crown Castle would actually expand T-Mobile’s coverage footprint, bring in immediate cash, and reduce T-Mobile’s long-term operating expenses, since it would no longer have to maintain as many towers. In return, Crown Castle would be able to sell capacity and access on those towers to other companies — and, of course, over time, T-Mobile will pay more to lease capacity on Crown Castle towers than it would to operate its own. But those costs would be deferred, and a deal would put money in T-Mobile’s pocket exactly when it needs it — now. At this point, however, no deal has been reached, and Crown Castle rivals, American Tower and Global Tower Partners, may well be in the running. If there’s one thing that has hurt T-Mobile with consumers, it’s being the only major U.S. carrier that does not offer the Apple iPhone. Although T-Mobile is happy to support unlocked iPhones on its network, they’re currently limited to 2G Edge service. T-Mobile cannot offer the iPhone with better data service because Apple cannot (or, at least, will not) make a special version of the iPhone that runs on T-Mobile’s unique HSPA+ network. Part of T-Mobile’s $4 billion network restructuring will shift HSPA+ services to the 1900 MHz band, making T-Mobile’s network compatible with Apple’s current iPhones and a broad range of 4G devices. That will open the door for T-Mobile to offer competitive service for unlocked iPhones and perhaps enable it to make a deal with Apple to sell the iPhone directly. However, there’s no word when T-Mobile will begin offering iPhone-compatible services to consumers, but current rumors have Apple getting set to unveil a new iPhone (and perhaps a smaller iPad?) in September. If true, T-Mobile will want to do everything possible to catch that wave — otherwise, it risks wading through another end-of-year holiday season without the iPhone.